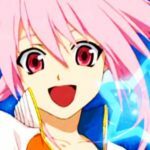 The latest issue of Weekly Shonen Jump has just announced that Tales of Xillia 2's Ludger and Julius Will Kresnik will be in the upcoming Tales of the World: Reve Unitia for the Nintendo 3DS. 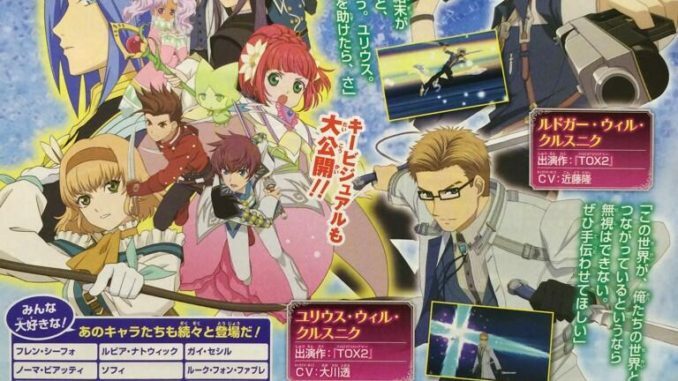 Judging from the scan having a quote from Ludger, he'll most probably be speaking normally in the game. 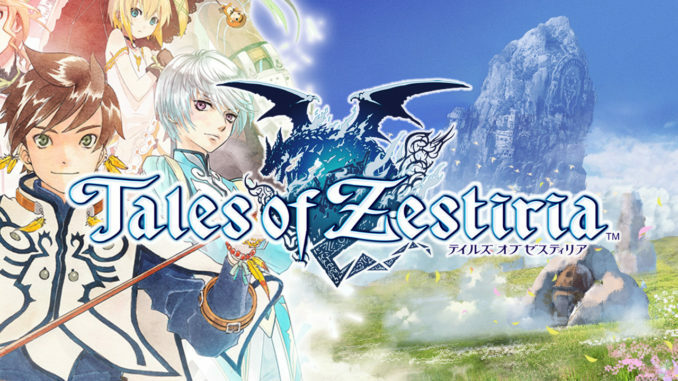 In addition, the magazine has also published the game's key visual, which will probably be the artwork used for the game's box art. 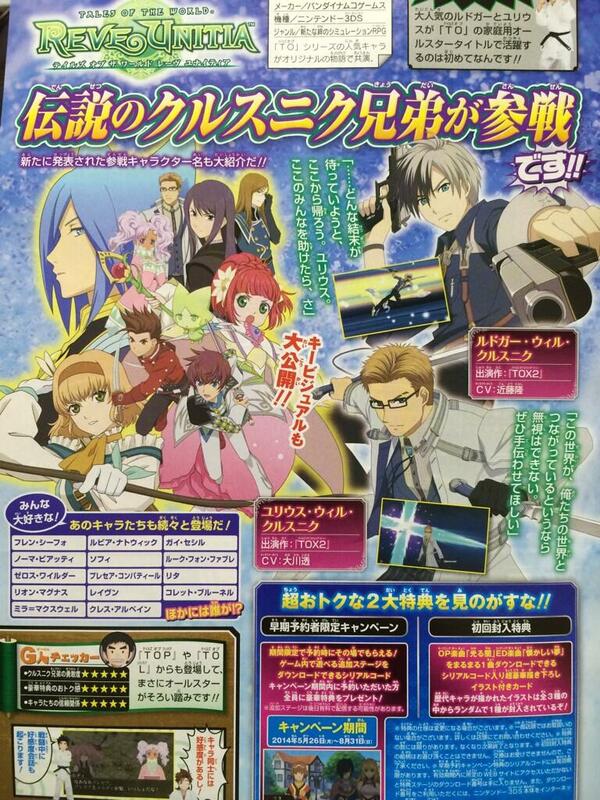 The magazine also has a list of confirmed characters for the game and also hints that "there might be more!" coming our way. 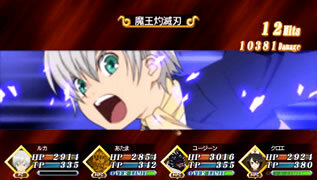 So aside from the previous Tactics Union characters plus Ludger and Julius, we might see more characters from the other Tales games. 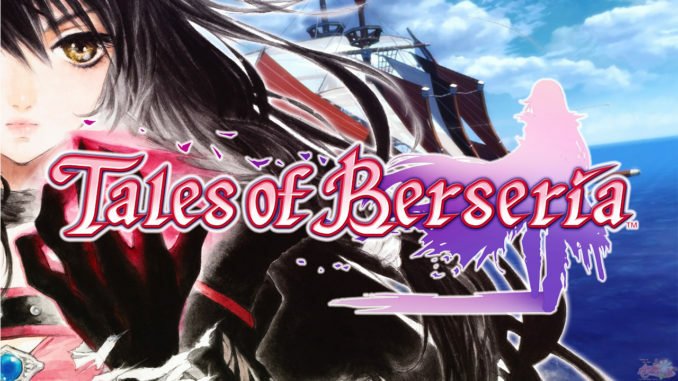 Again, to those who missed it, Tales of the World: Reve Unitia is basically a Nintendo 3DS enhanced port of the previously released mobile strategy Tales game Tales of the World: Tactics Union. 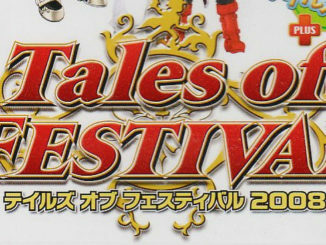 The game, like the other Tales of the World games, features various Tales of characters brought together into an original world for some purpose. Reve Unitia will feature full voices for its main scenario, an animated opening and some animated cutscenes, new event illustrations, as well as new Mystic Arte cut-ins for the characters.